PRICE REDUCED! 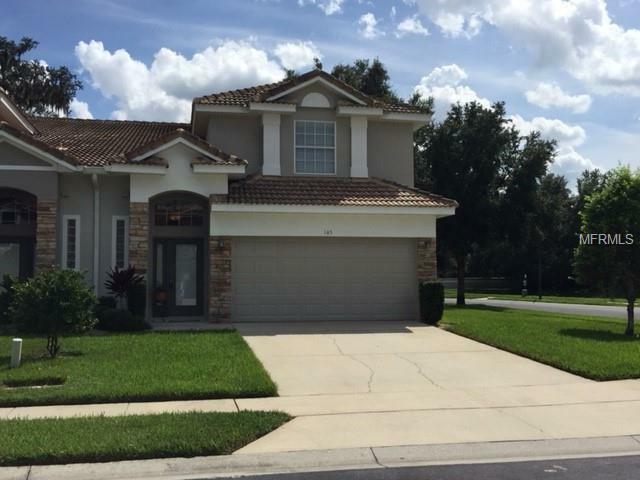 Charming townhome located in the exclusive gated Biltmore in Oviedo. Located on a prime corner lot in an enclave of only 68 residences, this home sits nestled among beautiful mature oak trees. As you enter the residence, the height of the volume ceiling will amaze you. The home offers 3 bedrooms, 2 full baths, guest half-bath AND the master suite is on the first floor! New carpeting has been installed throughout. All kitchen appliances, including new microwave, convey. Enjoy quiet evenings on your screened patio with freshly painted floor overlooking serene back yard. The over-sized 2-car garage provides protection for your valuable vehicles. The community boasts larger lots and backyards, a clubhouse with refreshing community pool and an inviting walking trail around the picturesque pond for you and your 4-legged friends. Awesome locationwalking distance to Willow Bend Publix shopping center. Nearby are the Oviedo Marketplace Mall, shopping and restaurants galore on Red Bug Lake Road. Easy access to the 417 will get you to the airport, downtown, anywhere you want to go. HOA fee covers gated access, exterior maintenance of all units, including roofs. The entire community has just been re-painted. Grounds, extensive grass lawns and shrubbery are all maintained by the HOA! Sold "As-Is. Additional Lease Restrictions Buyer To Confirm All Restrictions With Sentry Management Jack Armstrong (407) 788-6700 Ext 51116 Armstrong@Sentrymgt.Com. Pet Restrictions Buyer To Confirm All Restrictions With Sentry Management Jack Armstrong (407) 788-6700 Ext 51116 Armstrong@Sentrymgt.Com.